Two sided cast aluminum mailbox sign has an embellished arch, making your address easily seen. Wingnuts to mount plaque on mailbox are included. Plaque measures 7" x 14 3/4". Both lines hold up to seventeen 1 1/4" characters for your address numbers and street name. Our color chart shows all the color options available. Two sided cast aluminum mailbox sign has an embellished arch, making your address easily seen. Wingnuts to mount plaque on mailbox are included. Plaque measures 7" x 14 3/4". Both lines hold up to seventeen 1 1/4" characters for your address numbers and street name. 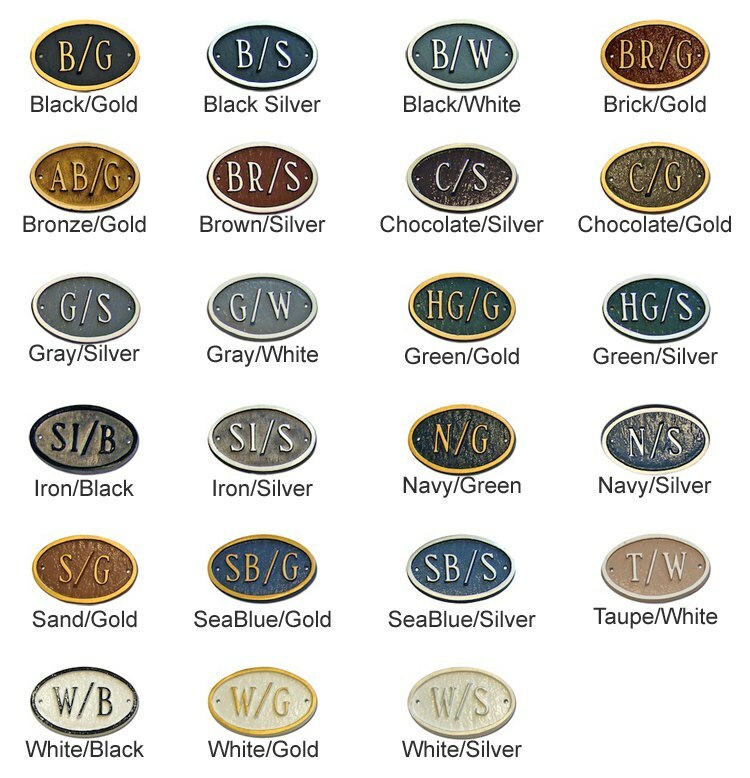 Our color chart shows all the color options available.